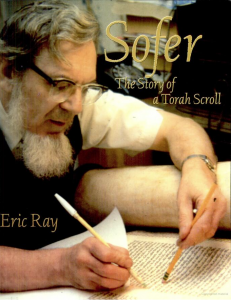 There are interesting facts to be learned about the production of a Torah scroll. The sofer who writes a scroll by hand has very strict guidelines and a set procedure by which he writes a scroll. These have ensured that the words of a scroll have been preserved accurately and perfectly through the centuries. Rabbi Eric Ray shares these things with us in his well illustrated book, written for all the family to understand. Join us and learn! NOTE: Apologies for the recording glitch on page 17. It only last a few seconds, so please persevere.